Not sure what makes a good knife for your kitchen? Just because it looks fancy and it feels a bit more expensive, it does not mean that you can buy any random knife you can find in a store. You will have to sharpen it at every few weeks, while the handle is likely to go loose in no time. But then, you are not a professional chef either. So what do you do then? This is when you run into Global G-4 Oriental Chef’s Knife. The G series from Global is designed for professional chefs. It is extremely popular in restaurants, food catering services and other similar businesses. However, the series has become so accessible that anyone can get one of those knives. A chef knife will most likely support you for many years, but it will also ease your job in the kitchen. You can cut things a few times faster, without having to switch a few different knives. At a first glance, Global’s G-4 chef knife might feel surprising. Basically, it looks quite unusual, while some people may also face difficulties in understanding its benefits in a residential kitchen. 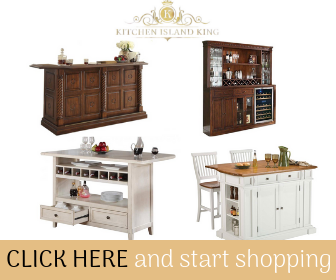 It looks and feels professional, but it makes a great addition to your kitchen too. You do not require any experience to use such a knife. Getting used to it is a matter of hours. The blade measures 7 inches, while the unit is lightweight, yet perfectly balanced. It can cut, mince, chop, slice and dice with no problems at all. This is actually the difference between a chef knife and a regular knife – it can tackle more types of foods. The blade is made of a special type of stainless steel – a mixture of high technology molybdenum and vanadium. This cocktail of durable materials can maintain its integrity over long periods of time. It retains the sharpness fairly well, especially if maintained accordingly. Ideally, this knife should be used on wood cutting boards in order to avoid chipping the blade. It should also be hand washed under running water instead of putting it inside a dishwasher. You might expect a professional chef knife to come with a top notch blade and a durable handle. This model is different though. In fact, all the knives in the G series from Global carry the exact same construction. They are made of one piece only. Forget about handles, loosening bolts or trembling blades. As long as you hold the knife well, there are no reasons to slip or fall. Just like the blade, the handle is also made of stainless steel. It has a molded design for extra comfort, but it is also textured for an efficient grip. Although most people cook with their hands wet, there are no risks for the knife to slip. Just like many other knives produced by Global, the G-4 model comes with a lifetime warranty against breakage and defects. Is it malfunctioning? Did it give up? There is nothing to worry about, since you are covered. But given the high ratings and the manufacturer’s confidence, chances are you will never have to face such problems anyway. 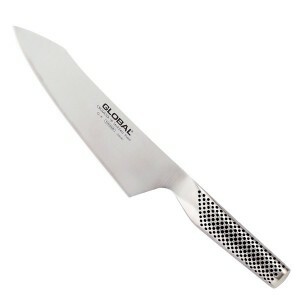 Global G-4 Oriental Chef’s Knife is probably one of the best rated knives in the G series. It scores 4.9 out of 5 stars. It has no 1, 2 or 3 star ratings. Everyone is happy about it, so it becomes a top notch recommendation among chef knives. There are not too many alternatives that can score so high. More than 30 people have taken their time to express their opinions and they are more than encouraging. Small complaints will always show up here and there though. One of the 4 star reviews claims that the knife simply does not fit the owner’s hand. It is perfectly normal though. Not everyone might get along with it. With all these, the same reviewer agrees that the knife quality leaves no room for misinterpretations. As a short final conclusion, the G-4 chef knife can, indeed, stand up in the crowd. Global has not disappointed its customers, but has actually come up with a brand new solution for their everyday cooking sessions. This unit can be used in a professional manner, as well as a residential kitchen. It is professional enough to tackle expert necessities and affordable enough to go into anyone’s household.